Born one year before the ill-fated Titanic struck an iceberg, the world's oldest known orca has been spotted off the coast of Washington state. Experts spied the 105-year orca nicknamed 'Granny' with other whales on 27 July in the Salish Sea. Scientists have been studying the remarkable cetacean since 1971 when they estimated she was 60 years old and gave her the official name of J2. 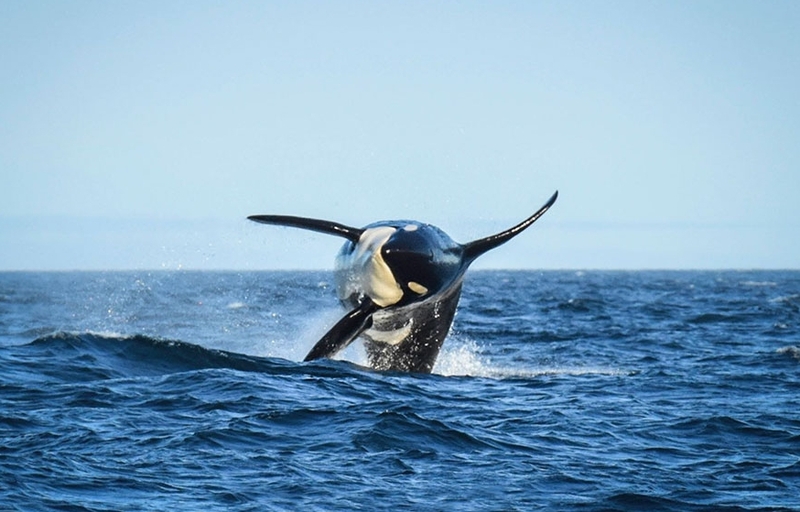 Her presence has stunned scientists because killer whales, or orcas, typically live to between the age of 60 and 80 in the wild. 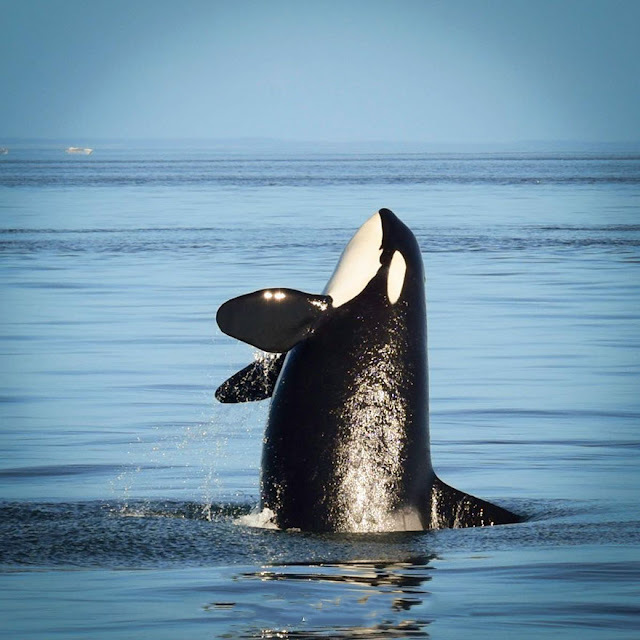 Granny is a matriarch of a group called the Southern Resident Killer Whales in the Pacific Ocean. Experts from Ocean EcoVentures Whale Watching were able to identify her thanks to a marking on her dorsal fin, as well as as a half-moon-shaped notch. Simon Pidcock, from the company, added: 'Granny has been swimming pretty much non-stop for over 100 years. 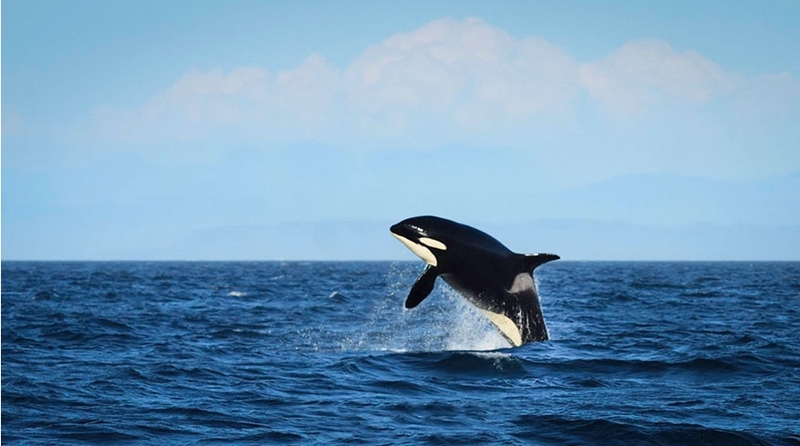 In 2014, Granny was spotted in the Strait of Georgia, when she was thought to have travelled up from California with her pod. Her return to the area for the first time in years was announced by the Pacific Whale Watch Association (PWWA). 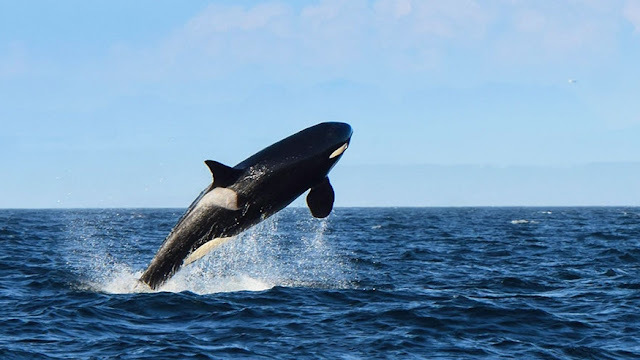 Responses to "105-Year-Old World’s Oldest Orca Is Spotted Splashing Waves Like A Youngster"
smiles and giggles to know that this magnificent being is showing off! She seems happy and healthy!